Chef Teppei Yamashita is in a roll with the opening of its latest F&B concept, Man Man Japanese Unagi at Keong Saik Road, specializing in offering Unagi dishes. 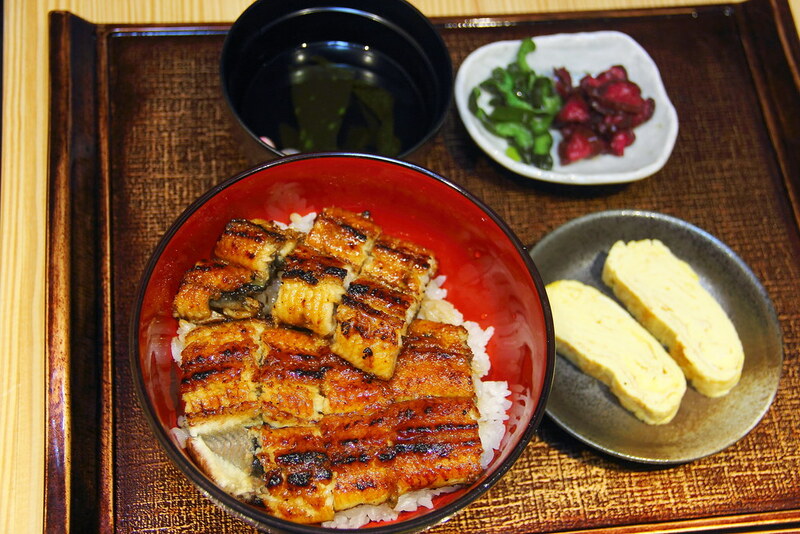 The main ingredient, the eel is specially sourced and imported from Isshiki-cho of Nishio city in Aichi prefecture. All orders are prepared freshly on the spot. 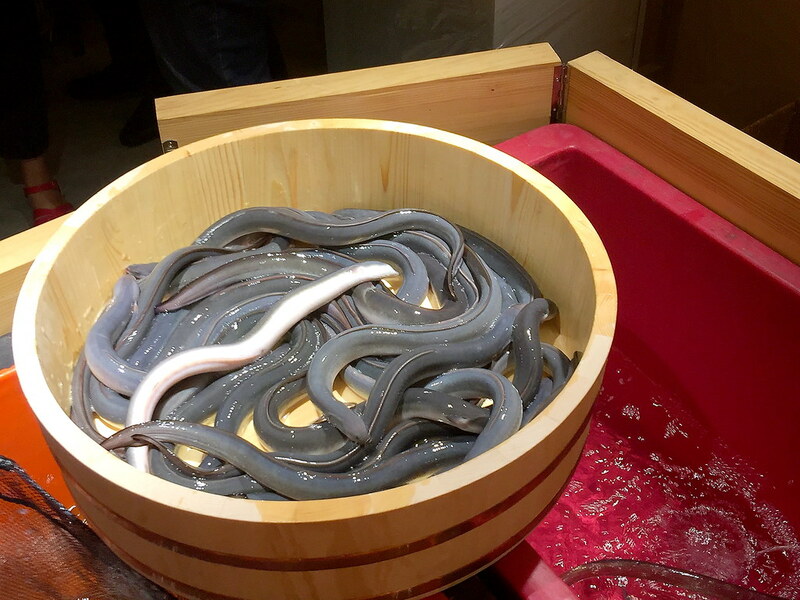 The eels are fished out from the water tank and killed in full view from the open kitchen. 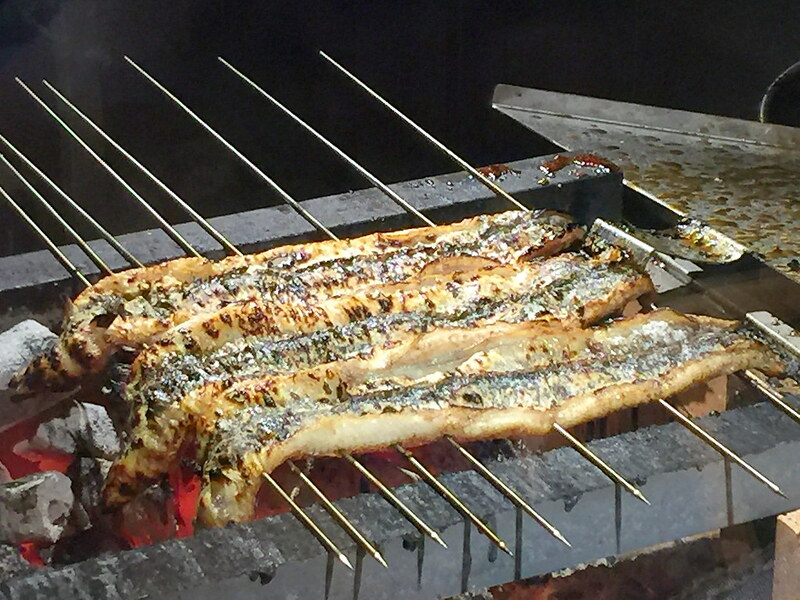 It is then skewered and grilled over charcoal fire. Did you noticed there is no handle on the skewer? I was amazed how the chef handles the skewer with his bare hands. It must be so hot under the charcoal fire. Many of us may not know the proper way of eating the Hitshumabushi ($26.80). It is supposed to be enjoyed in 3 different ways. First you have the unagi and rice on its own to enjoy the original flavour. Second you can eat it together with the seaweed, wasabi and spring onions condiments. Lastly, you pour some tea into the rice to enjoy a subtle finishing of the rice. 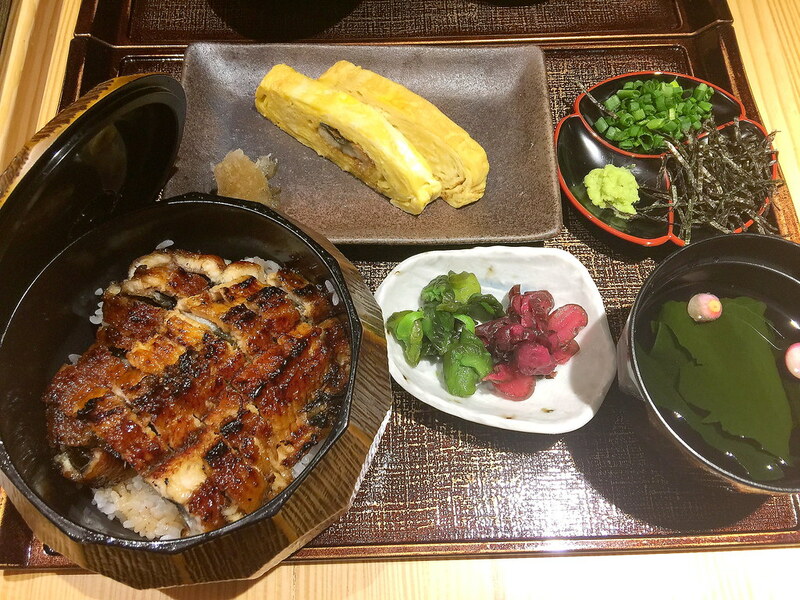 Beside the hitshumabushi, we also tried the Unagi Don ($25.80 medium) and Una Tama Don ($18.60). It seemed that the kitchen has not gotten up to speed with the crowd, the tamagoyaki was a bit salty and pale in appearance. I think it required a couple of minutes longer in the pan. 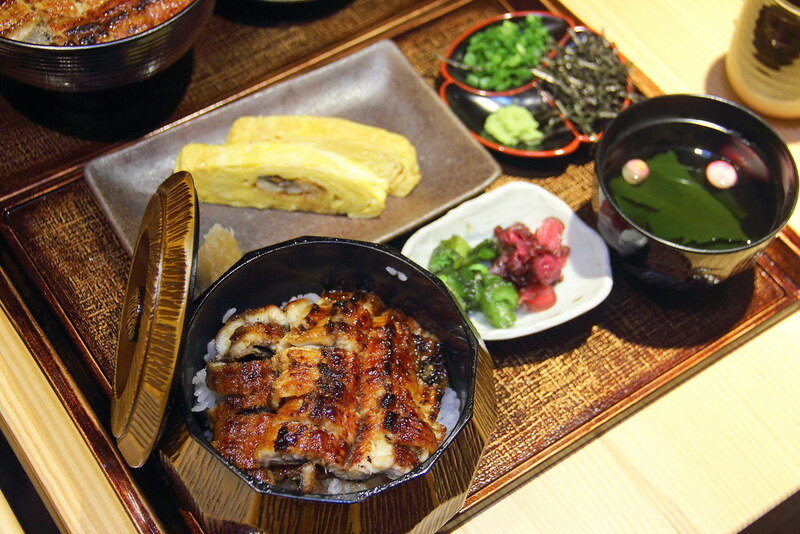 If the rice set is not able to fill you up, you may want to try the Unagi Kabayaki or Unagi Shirayaki. The main difference is the marinade sauce that gives the eel an extra coat of sweetness. 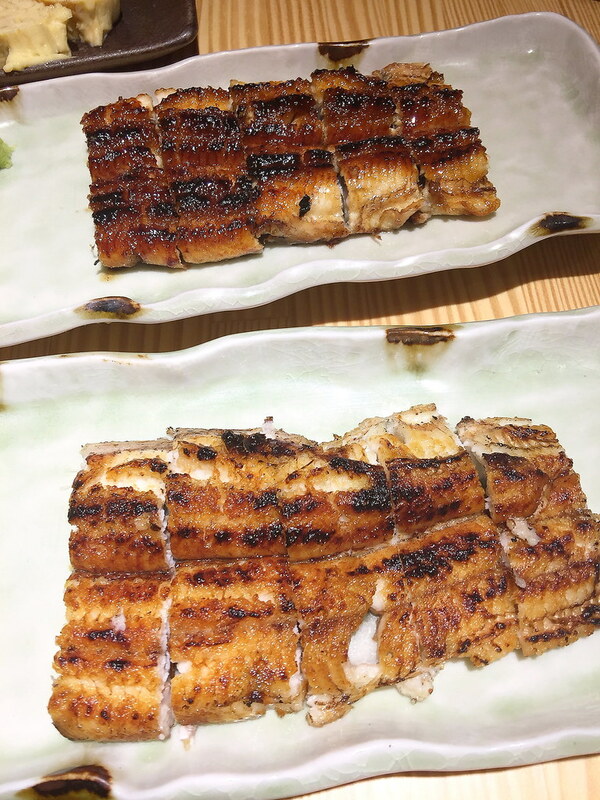 I am not sure whether it was deliberate or the chef has not gotten used to the charcoal's heat, the unagi since to be more charred compare to what I have eaten. It has a distracting bitterness which I personally do not enjoy it. 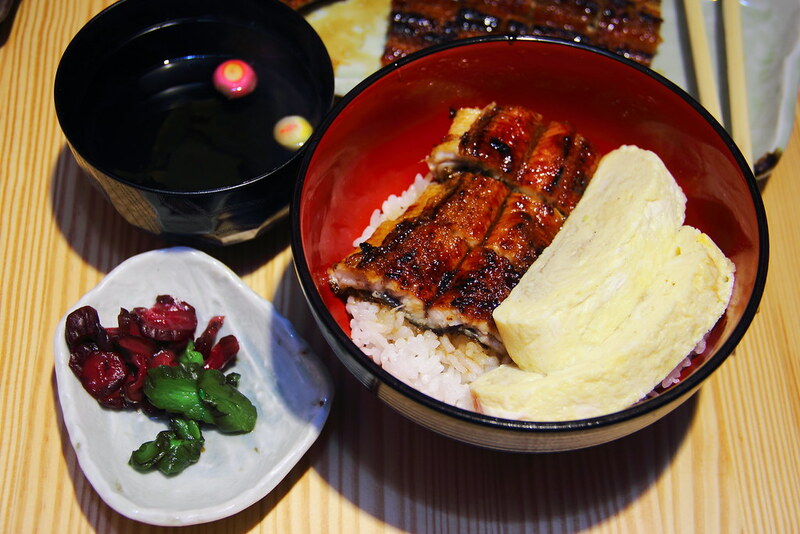 If you prefer to appreciate the original flavour without the sauce, then the unagi shirayaki would be for you. A note to those who wish to visit the restaurant. 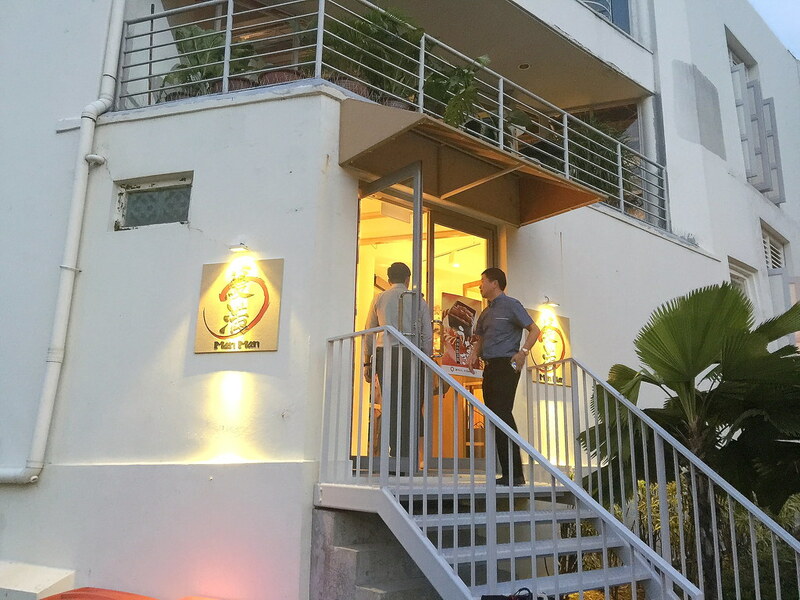 The main entrance is actually at the back of Keong Saik Road. Go around the block to the back, where Duxton Plain Park is to enter the restaurant. Actually surprised to get a seat last night on opening day. Ordered a una tama don, couldn't find fault with the eel and rice, but the tamagoyaki was bit on the bland side and pickles on the side was disappointing, the fresh wasabi you have to grate yourself was a refreshing idea. Deco of the restaurant was cosy, but bit roudy last night with the other customers drinking write abit more than usual. Thank you for leaving a comment. I also agree about the tamagoyaki.